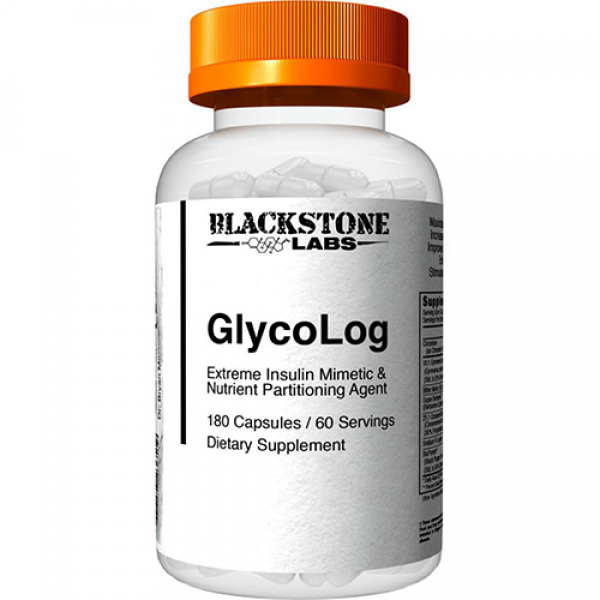 GlycoLog by Blackstone Labs is the company’s contender in the Glucose Disposal Agent category. It aims to mimic the effects of insulin and transport nutrients such as protein and mainly carbs, more effectively. We have reviewed several products in this category, and in this GlycoLog review, we’ll try to see how this new entrant stacks up with the rest. The label of the GlycoLog features a fully transparent ingredient profile, and the doses of 3 capsules serving. GlycoLog contains many different ingredients that improve nutrient distribution and just by looking at it, it looks promising. 1g 10:1 Gymnema Leaf Extract – Gymnema is a plant originated in India which was heavily researched for its anti-diabetic benefits. It has been found to enhance the function of insulin to decrease blood sugar. 500mg Bitter Melon – Bitter Melon has a long history of use for treating diabetes because it can help prevent cataracts, it’s molecules resemble the molecules of insulin, and it helps to remove glucose from the bloodstream. 300mg Super Berberine – Berberine is a powerful ingredient commonly found in glucose disposal agents (GDAs) since it causes a major reduction in blood sugar levels. It’s also effective for weight loss and reducing cholesterol. 250mg 25:1 Cinnamon Bark Extract – Cinnamon Bark is another ingredient with many benefits apart of it reducing blood sugar levels. It also provides many nutrients such as iron and vitamin K, it has antioxidation effects and it decreases cholesterol levels. 150mg Sodium R-Lipoate – Sodium R-lipoate, a sodium salt of R-alpha-lipoic acid, is the more bioavailable version of R-alpha-lipoic acid, a fatty acid produced naturally by the body. It increases and maintains levels of antioxidants, mimics the effects of insulin on glucose absorption in insulin-resistant cells and may help restore glucose availability in tissues and has beneficial effects on metabolism and cellular energy production. 5mg BioPerine – BioPerine Black Pepper Extract has started to appear in pretty much every supplement on the market, and for a good reason. It improves absorption of nutrients and their exploitation. 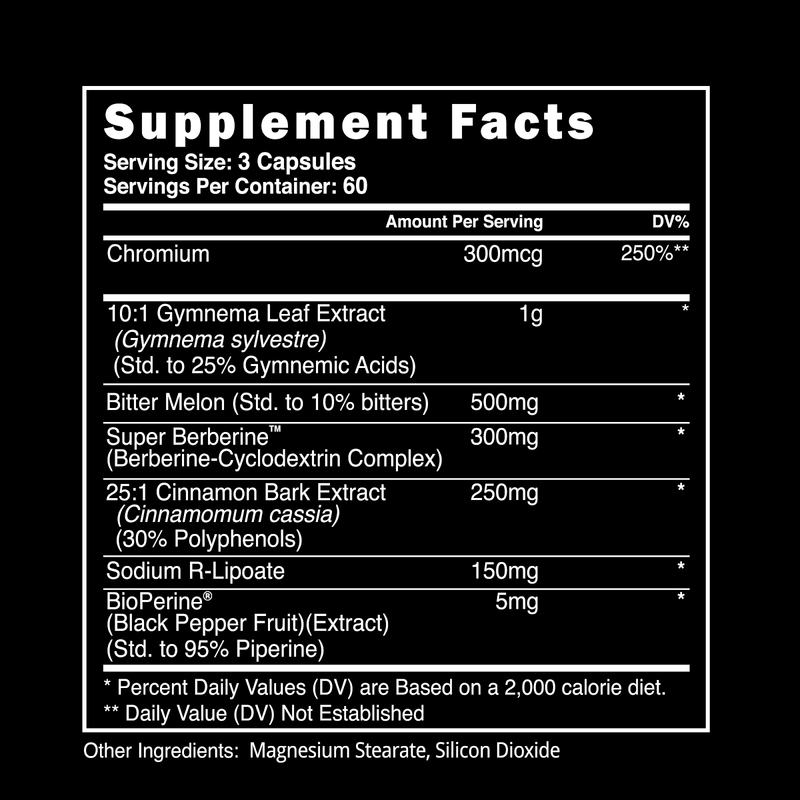 300mcg Chromium – Chromium is an essential mineral when comes to glucose metabolism and insulin sensitivity. It aids with glucose disposal, which supports all the other ingredients in GlycoLog. GlycoLog seems to give a solution for those who are afraid of carbs. The ingredient profile is very diverse and all the ingredient are well proven to do their job. It’s worth mentioning that Blackstone Labs recommend taking 3 capsules twice per day, before each meal that is rich in carbs. We have seen a lot of these ingredients in other leading products in this category. GlycoLog comes in a 60 serving/180 capsules bottle that go for $49.99. That means that you get a month’s supply for 50 dollars, which is a bit pricey but not outrageous compared to the alternatives. And that’s why you should always compare prices on the fitness deal news price comparison engine! GlycoLog brings in quite a complete package when it comes to the Glucose Disposal Agent category. As good as any of the competition. Though the pricing is on the higher end of the spectrum, this is not unusual for Blackstone Labs products. GlycoLog should do well in playing a supporting role in your war against carbs and insulin spikes.